The Ag Committee is responsible for developing better relations between the rural and business communities and sponsoring projects that involve both the rural and business communities. The Finance Committee is responsible for the monthly and annual audit of the Chamber's books, review of the bylaws and putting policies established by the Board into a policy manual, review membership dues, and organize fundraising opportunities. The Tourism Committee is responsible for promoting and marketing Rugby and the surrounding area as a tourist destination, convention center, information center and destination for recreation and relaxation. 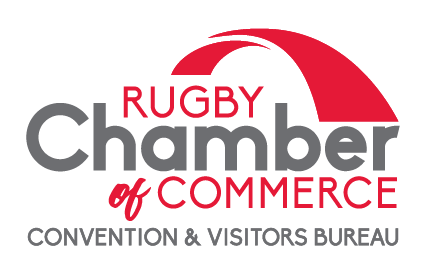 The Marketing Committee is responsible to establish Rugby as a trade center for Pierce County and the surrounding area.